The name usually given in English to textiles like these is 'Perugia towels', deriving from tovaglie perugine. 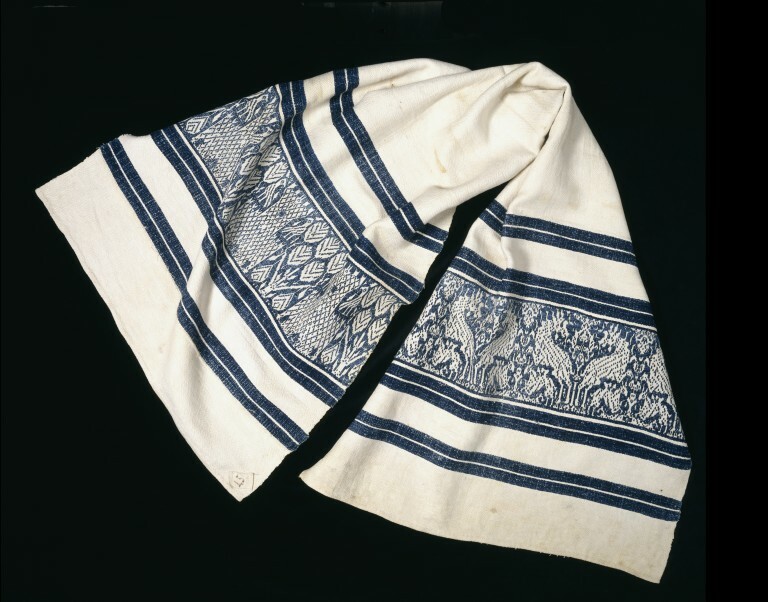 Tovaglia is usually translated as tablecloth, and tovagliolo as napkin, but their use was in both ecclesiastical and secular contexts. Their function included napkin and table cover, as well as altar cloth and sacristy hand towel. 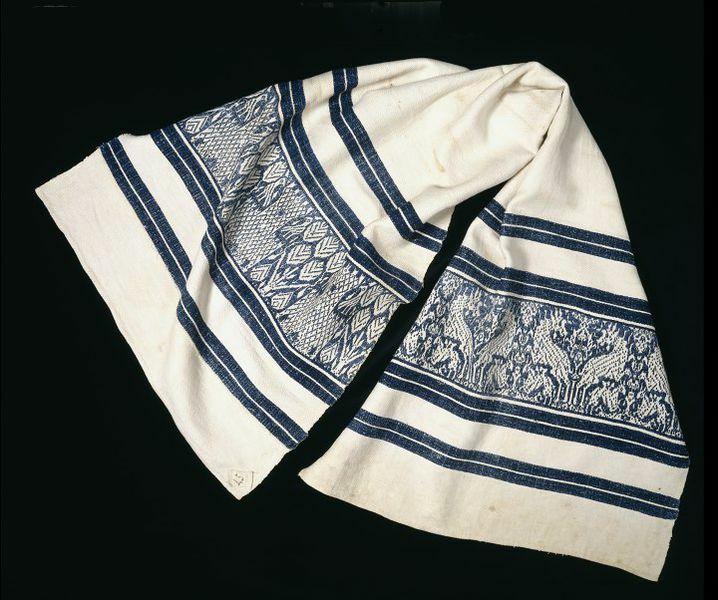 They were woven in mixed twill, ofter diaper, with white linen warp and weft, and had the characteristic feature of bands of pattern created with a supplementary weft of cotton, almost always dyed blue with indigo or woad, though occasionally in red or brown. 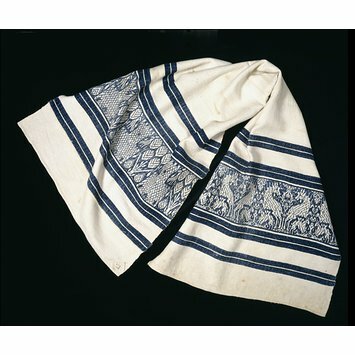 An inventory of 1482 describes two napkins being '...in the style of Perugia' (banbagia a la perugina)so the association of such blue-banded textiles with this region may date back to at least the 15th century. Ajmar-Wollheim, Marta and Flora Dennis, At Home in Renaissance Italy, London: V&A Publishing, 2006.